2009 issue UK 20-track CD album - To celebrate seventy years after the end of World War II, this is the very best of Dame Vera Lynn. Twenty beautiful tracks from the original forces sweetheart, including the nations favourite war time songs 'We'll Meet Again', '[There'll Be Blue Birds Over] The White Cliffs Of Dover' and 'As Time Goes By'. 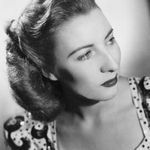 Dame Vera Lynn, DBE is an English singer whose career flourished during World War II. Nicknamed "The Forces' Sweetheart", she is most associated with the songs "We'll Meet Again" and "The White Cliffs of Dover".